As featured by the Mail on Sunday, March 2018: The deadliest man beneath the waves: How Hitler's legendary U-boat commander became the most successful submarine officer of WW2. You'll be £25.00 closer to your next £10.00 credit when you purchase Otto Kretschmer. What's this? Order within the next 2 hours, 47 minutes to get your order processed the next working day! 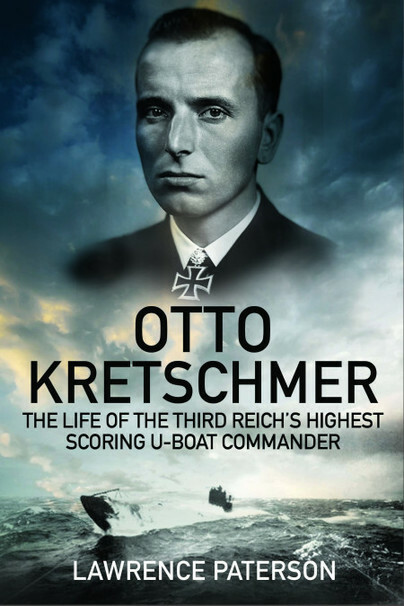 Otto Kretschmer was only in combat from September 1939 until March 1941 but was Germany's highest-scoring U-boat commander sinking 47 ships totalling 274,333 tons. This definitive work details his personal story and the political backdrop from his earliest days. Aged 17 he spent 8 months studying literature at Exeter University where he learned to speak English fluently. The following year, on 1 April 1930, he enlisted as an officer candidate in the Weimar Republic's small navy. After completing his officer training and time on the training ship Niobe he served aboard the light cruiser Emden. In December 1934 he was transferred to the light cruiser Köln, then in January 1936 made the move to the fledgling U-boat service. His first operational posting was to the 2nd U-Flotilla’s Type VII U35 where he almost being drowned during training in the Baltic Sea! During the Spanish Civil War, he was involved in several patrols as part of the international non-intervention force. He was finally given command of U23, a post which he held until April 1940. He had already sunk 8 ships including the destroyer HMS Daring east of Pentland Firth on 18 February 1940. He demonstrated a cool approach to combat: his mantra ‘one torpedo for one ship’ proved that the best way for his boat to succeed against a convoy was to remain surfaced as much as possible, penetrating the convoy and using the boat’s high speed and small silhouette to avoid retaliation. His nickname ‘Silent Otto’ referred to his ability to remain undetected and his reluctance to provide the regular radio reports required by Dönitz: he had guessed that the Allies had broken German codes. Alongside his military skill was a character that remained rooted in the traditions of the Prussian military. While other U-boat commanders and crew returned from patrol with beards and a relaxed demeanour, U99 always returned with all men clean-shaven and paraded on deck. In the Bowmanville POW camp he organised a 2-way radio link to the German Naval High Command and planned a mass breakout with a U-boat rendezvous arranged. He was also instrumental in the ‘Battle of Bowmanville’ that lasted for 3 days in October 1942. His antics behind the wire became the inspiration for the 1970 film ‘The McKenzie Break’. Postwar he answered the call for volunteers upon the establishment of the Bundesmarine. He retired from the rank of Flotillenadmiral in 1970. He suffered a fall celebrating his 50th wedding anniversary aboard a boat and died two days later at the age of 86. Paterson's account is not a hyperbole - which Kretschmer would have disliked intensely - but matches the man by presenting the deeply researched narrative in a calm and studied manner. This allows the facts to speak for themselves. Well illustrated and well written, this is an absorbing book about a supremely confident and utterly professional submarine commander. Highly recommended. 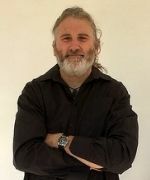 Author Lawrence Paterson explores this intriguing individual's life from his formative years - where he studied literature at Exeter University, helping to make him fluent in English - to enlisting as an officer candidate in the Weimar Republic's small navy. This volume reveals much about the operations and tactics of the U-boat campaign during the first eighteen months of the war. The copious illustrations illuminate a text that is sometimes complex but which is always clearly written and easy to follow, while the range of sources - from oral history, through printed works and manuscript material, to clips of film, radio, and television interviews downloaded from the Internet – that Paterson draws together is itself astounding. Whilst entertaining for the general reader, this book will be a source of reference for those seeking information on vessels lost to U-boat attacks, the technicalities of operating a U-boat, or other aspects of the war at sea between 1939 and 1941. Well illustrated and written, this is an absorbing book about a supremely confident and utterly professional submarine commander. This volume reveals much about the operations and tactics of the U-boat campaign during the first eighteen months of the war. The copious illustrations illuminate a text that is sometimes complex but which is always clearly written and easy to follow, while the range of sources – from oral history, through printed works and manuscript material, to clips of film, radio, and television interviews downloaded from the Internet – that Paterson draws together is itself astounding. Whilst entertaining for the general reader, this book will be a source of reference for those seeking information on vessels lost to U-boat attacks, the technicalities of operating a U-boat, or other aspects of the war at sea between 1939 and 1941.